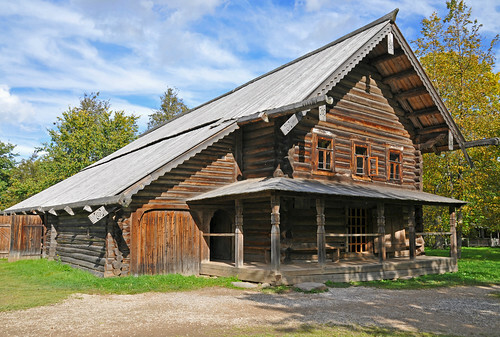 The Museum of Wooden Architecture in Novgorod, Russia, is a collection of some of the old Russian churches and houses, constructed from wood and built between 16th and 19th century. 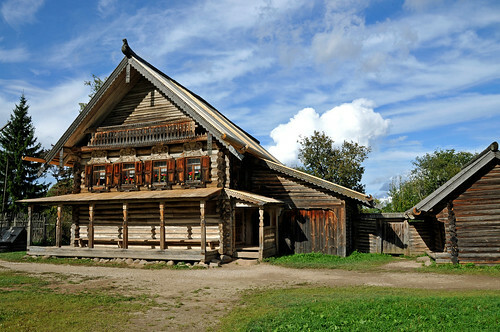 These structures have been brought from many locations, restored and relocated in the museum known as "Vitoslavlitsy" - named after an old village which once existed at the location around 12th century. 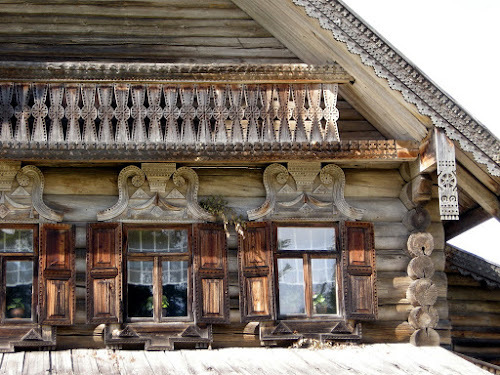 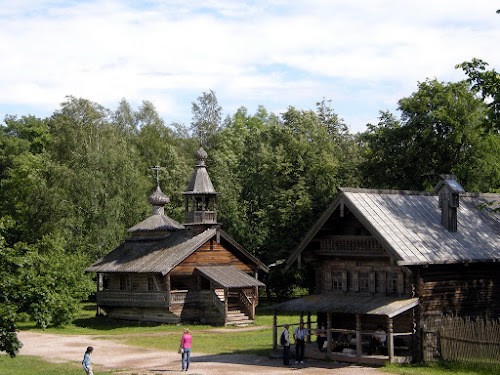 The open air museum with an area of 33.4 hectares was established in May 1967 and showcases some of amazing wooden buildings of Russia and till date has a collection of 26 buildings out of which there are seven churches, three chapels and several urban/rural cottages. 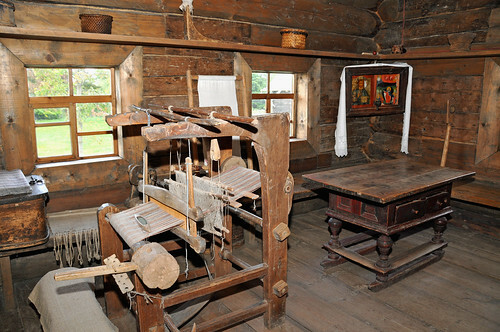 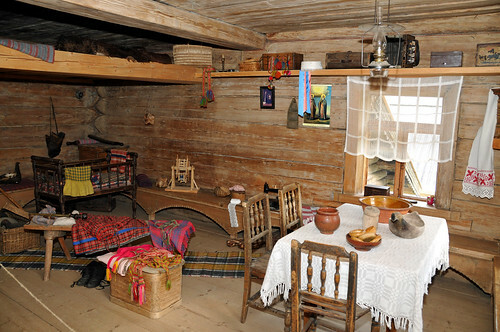 Besides the wooden structures the museum has also preserved the household items and features found in the cottages of the rural farmers. 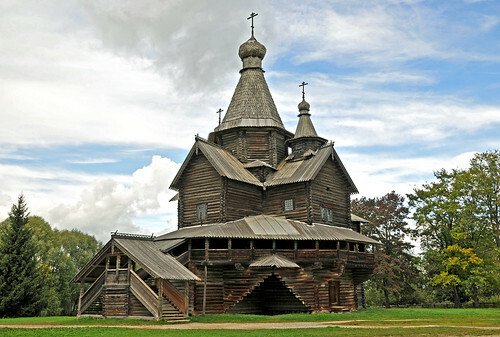 Church of the Assumption (1595) relocated from Kuritsko village. 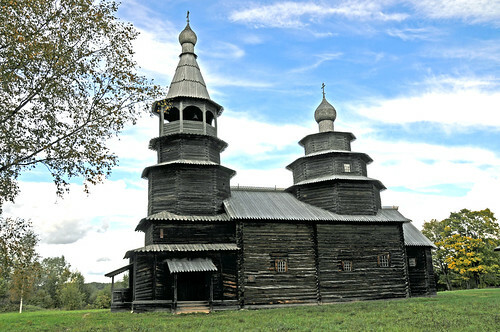 Kletskaya Trinity Church (1672-1676) relocated from Lyubytinsky region. 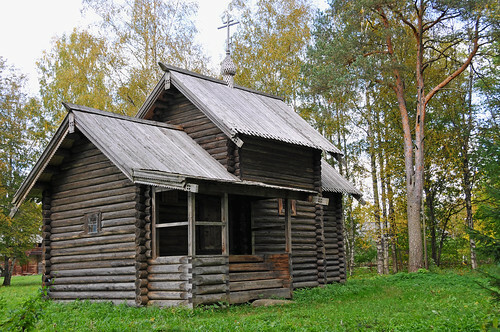 18th Century Chapel relocated from Kashira village.